The JSK HC received the “Sport award 2014” of the Upper Rhine Conference for the organisation of the Vendanges Tournament. 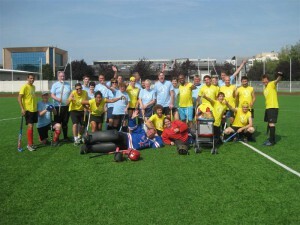 This international field hockey tournament is held in Strasbourg during the first weekend of September each year (since 2005), and is organised by JSK Strasbourg Hockey Club. Mixed teams of 11 players are invited to play in the competition on our recently renovated artificial turf field. 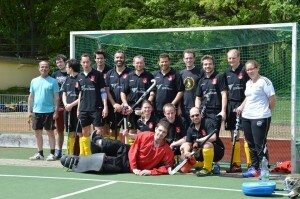 The tournament brings together teams from France, Belgium, Luxemburg and Germany. The tournament is a great occasion to get back in shape just before start of the outdoor season whilst playing in a relaxed, friendly environment – all for an incredibly reasonable price. The photos of the previous years are available on this page. Sign-up for the Vendanges Tournament 2018 are now open! You will find below a document in English containing all needed information about the programm, the fees, as well as the registration form, which is to be returned by e-mail by the 15th of July 2018.